Android 4.0 Tablet PC "Nextbook Premium 7se"
Introducing the brand new Nextbook Premium 7se brand series! With a lightning fast combo of a 1.5GHz dual core CPU and 1GB of DDR 3 RAM, the Nextbook is the latest in our line of affordable wholesale Android Tablets. 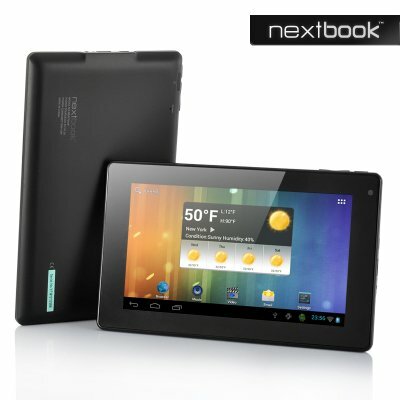 The Nextbook 7 rocks a 7 Inch, 5 point capacitive screen with a resolution of 800x480. Its powerful 1.5GHz dual core cortex A9 is the heart of the tablet and together with 1GB of DDR 3 RAM, the Nextbook will run all your applications lightning fast. Read emails, surf the net, play games and watch videos without losing any processing power. The Nextbook Premium 7 comes with a built-in front facing camera allowing you to capture and share those treasured moments with your family and friends. A whopping 8GB of internal flash memory gives you enough space to store all your music, videos and pictures and the built in HDMI port allows you to connect the tablet PC to you HD TV trough an HDMI Cable. Running Android 4.0, the Nextbook has one of the latest and most evolved operating systems on the market. Optimized for speed and user comfort, Android 4.0 is truly top of the bill. Read books on the large bright screen, surf the web, watch YouTube videos or if it’s games that you prefer, there are thousands of free 3rd party apps available for you to download through the pre-installed “SlideMe” application. Android 4.1 HD Phone featuring a 5 Inch IPS Screen, 1.2GHz Quad Core CPU, 12MP Rear Camera and 3G makes this one of the top spec mobiles on the market today. With more than 10 years of experience manufacturing Android Phones, ThL has managed to establish a broad customer base in both Europe and America. With the W8, ThL released a high end phone that features an HD screen with a higher DPI (320PPI) than most top brand’s, resulting into one of the finest viewing experiences you can get on a phone. The 1280x720 resolution is crystal clear and will make viewing videos, surfing the internet and reading eBooks an absolute delight. A new lightning fast 1.2 GHz Quad Core MTK6589 CPU partnered with a PowerVR SGX 544MP GPU provides enough power to easily multitask and run the most demanding apps and games without any problems. Thanks to Dual SIM, you can easily keep work- and private life separated by switching between two numbers on one phone. Running Android 4.1 Jelly Bean, the W8 has one of Android’s most advanced operating systems. Not only is Android 4.1 fast, but it also gives you a high level of customization options and a big app store with more than 600.000 Apps. 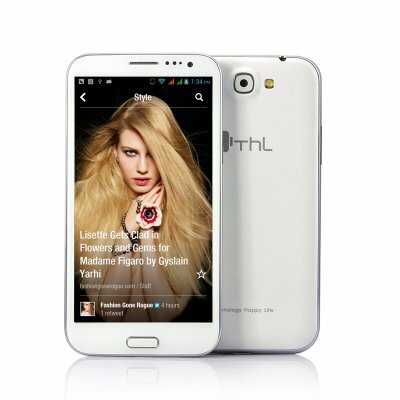 Install any app such as YouTube, Facebook, Angry Birds or Twitter and the ThL W8 will run it with ease. Snap a picture with the 12MP camera, save it on the 8GB of internal memory or on a Micro SD card of up to 32GB and enjoy the great picture quality on the ISP (In-Plane Switching technology) screen. Also true photographers will love the high 5MP front facing camera, therefore not only do you get a quality photo from the rear camera but also an extremely high quality from the front cameras as well. 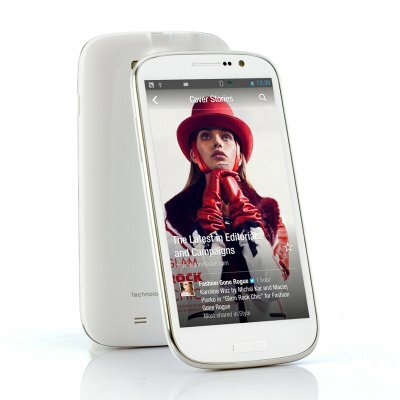 This ThL W8 also has the usual Bluetooth, 3G, 1GB RAM and a selection of languages in the settings for you to choose from. Portable wireless router with built in 5200mAh battery pack, wireless hard drive memory access, a 3G router, and the ability to changed wired internet into a WiFi AP. Designed for people on-the-go, this travel friendly Wireless Router lets you create a secure wireless network whenever a wired Broadband connection is available. Plug your regular RJ45 internet cable in, and it will start transmitting wireless internet signal to all your WiFi enabled devices such as your phone, your PC, your Tablet and more. 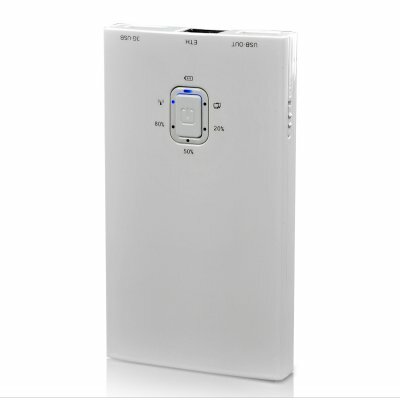 Perfect for use in the library, in your hotel room or any other place where you need instant wireless internet. But it doesn’t stop here. Using either the built in Micro SD card slot or by plugging in a portable hard drive / USB memory stick into the USB port, the stored data will be wirelessly accessible right over the wifi signal. To get you started, a free 8GB microSD card will even be included in each package! This portable wifi router also rocks a convenient 5200mAh quick charge station that provides fast recharging of your portable electronic devices as well as powering the WiFi signal, making this a truly portable device! Additionally, in areas where no Broadband cable is available, you can either connect a 3G USB dongle or even connect your 3G Phone to the Wireless router and broadcast your 3G internet over the Portable Router to other devices to get internet anytime you want it. Android 4.2 Phone featuring a 5.7 Inch IPS Screen, 1.2GHz Quad Core CPU, 8MP Rear Camera and a 3.2MP Front Camera. Welcome to Android 4.2! With more than 10 years of experience manufacturing Android Phones, ThL has managed to establish a broad customer base in both Europe and America. With the W7+, ThL released an updated version of the ThL W7 featuring a Quad Core CPU and the all new Android 4.2 operating system. Enjoy this phone’s 5.7 Inch 720p HD screen with 320PPI which will make viewing videos, surfing the internet and reading eBooks an absolute delight. Powered by the new lightning fast 1.2 GHz Quad Core MTK6589 CPU, packs more than enough power to run the most demanding apps and thanks to Dual SIM, keeping work- and private life separated can be done easily while keeping all your contact numbers centralized on one phone. Android 4.2 takes the speed and simplicity of Jelly Bean to a different level – a completely new camera experience that’s beyond smart, a new form of typing that helps you power through your messages, and much more. Snap a picture with the 8MP camera, save it on the 8GB of internal memory or on a Micro SD card and enjoy the great picture quality, or use the front facing 3.2MP camera to have high resolution video chats, and both on the super large 1280x720 HD screen. On top of all of this, the ThL W7+ comes standard with GPS to help you to navigate through the urban jungle, Bluetooth for hands free calling and wireless music streaming, Wi-Fi, and 3G Tethering. This is a true all-in-one Bluetooth Rearview Mirror featuring a built-in GPS, multimedia capabilities, a dash cam, hands-free calling, a wireless parking camera and even a speed radar detector! Also featuring a 4.3 inch touch screen, this high-tech rearview monitor is one of the safest and smartest car gadgets available. 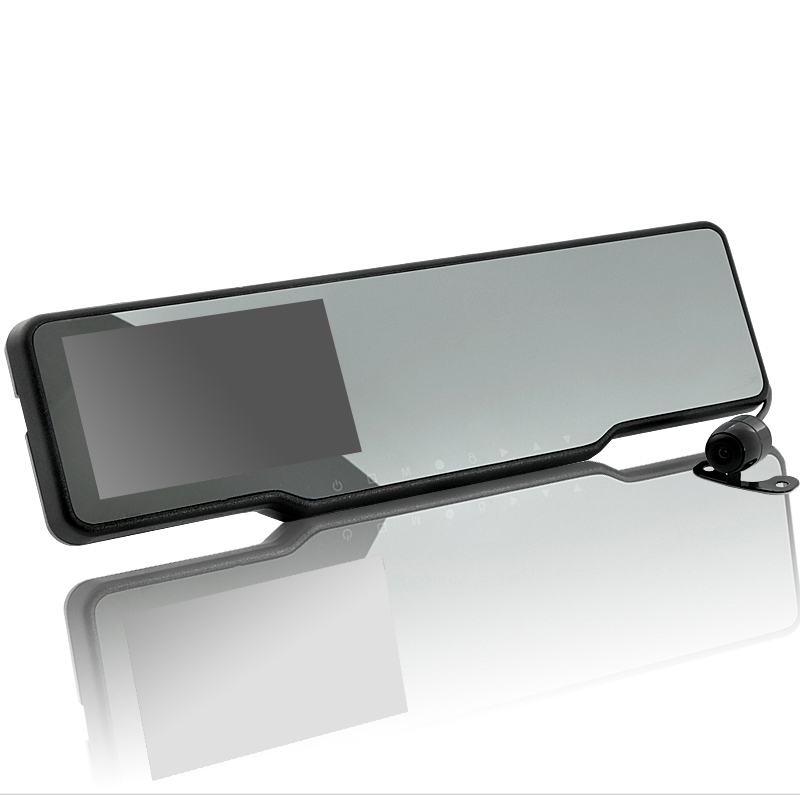 Forget about a separate GPS, Dash Cam and Parking Camera, our all-in-one rearview mirror kit takes care of everything. With the built-in radar detector, you’ll be able to detect speed radars and thus avoiding speed tickets. This Radar Detector will warn you when approaching a speed radar so you can slow down in time, potentially saving you a lot of money on fines. Capable of detecting the radio signal traffic cameras send out such as X band, K band, KA band and Ku band you’ll be warned on time. Designed with your safety in mind, this Rearview Mirror will make your life easier. Accurately drive to your destination using the GPS navigation. Its fast MStar MSB2521 500 MHz processor provides fast and up-to-date directions available at your fingertips. When parking, the 380TV Lines wireless reversing camera lets you see everything directly behind your vehicle and makes parking easier and safer than ever before. Don't wait, this innovative Bluetooth Rearview Mirror with Built-in GPS Navigation is sure to become a best-seller on your eBay store. Get it now and get it cheap from your number one source for wholesale electronics and car accessories, Ashtone Enterprises. 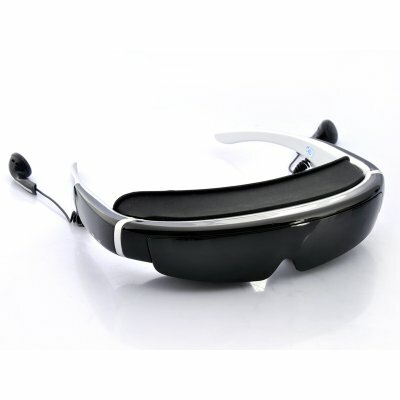 98 Inch 3D Virtual Screen Video Glasses with 854x480 resolutions provides a modern and mobile way to watch and listen to your media library when on the move. Chinavasion’s latest video glasses come with an impressive 98 inch wide view capabilities as well as being true 3D video playing glasses. The glasses can play "side by side" 3D movies (melding them effortlessly into one 3D screen at the press of a button) as well as your standard 2D movies meaning you can watch a mix of old school 2D videos or new school 3D media to your heart’s content. These 3D virtual screen video glasses also simulate a 98 inch virtual widescreen with a 16:9 ratio and a simulated 1.5 meter distant. This 3D virtual screen video glasses provides the ability to have a gadget that you can carry around that offers a cinematic experience with a surround sound system. This awesome industry leading portable cinema screen video glass with AV function and great optical and sound quality makes it possible. 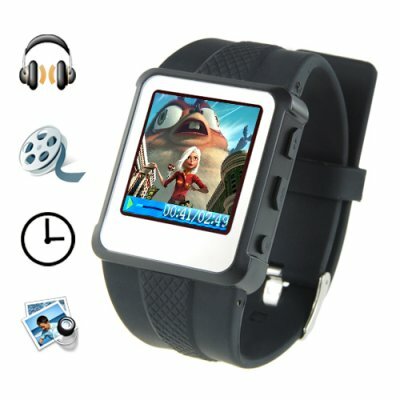 This product is not just a gadget; it’s your personal entertainment zone where movies, TV shows and games come to life. This multifunction device supports a variety of media formats including video formats such as TS, AVI, MP4, MPG, MKV, PSP, DAT, VOB, WMV, ASF, PMP, MOV, M2V, QT and M2A. The built-in headphones allows you to listen to your videos as well as watching them and other music formats like MP3, WMA, FLAC, APE, AAC, and PlayFX . You can view your latest photos thanks to the Virtual Private Theater Glasses JPEG, BMP and GIF. It also features 8GB of internal memory for storing all your favorite media files, as well as a Micro SD card slot that can accept up to a 32GB card - enough memory for your whole media library! Best of all, the glasses themselves are lightweight, stylish and comfortable enough to wear for extended periods of time and the built-in battery will last more than long enough for a movie or two.